MaryDes Designs Ltd hasn't added a story. The initiative to start the Young Readers Foundation came in 2018 from an author, in a small language area, who saw that it was very difficult for certain publishers to keep their heads above water in an increasingly shrinking market. He also noticed that young people had little interest in reading books. He wanted to do something about that and that’s why he decided to set up an organization that would tackle this problem. However, setting up an organization requires an official structure. He told his experience to the CEO of MaryDes Designs Ltd. A design company that had designed his book cover and with which he had become a good friend. MaryDes proposed to him, while awaiting the assignment of this project to the King Baudouin Foundation, to take on the management for the time being and to arrange the accounting and official obligations. Everything young people do will have an effect on our society. And that is why they bear a big responsibility. They will have to pursue and maintain peace, they will have to trade in an equitable manner, must make technological progress and take care of the elderly and the sick. Isn’t it logical then that we ensure that they are given every opportunity to develop themselves and that they are ready to carry out these tasks properly? This is also in our advantage. A very effective way to achieve this is to let them read more books. There are more than 20 good reasons why reading is important. Although we know the positive effects of reading, not all young people have the opportunity to read, or are interested in it. You may think of places in Africa or war zones in the Middle East. Yes, of course there too, but you should not look that far. On the one hand, you have the small language areas where book publishing is unprofitable, as a result of which young people have a hard time finding books to read and therefore, can’t develop themselves enough to meet the challenges of the future. But kids in larger language areas are not safe either. There is the sometimes-addictive activity on social media that prevents young people to take time to read a good book and benefit from all positive effects of reading. The “Young Readers Foundation” wants to change this. This organization has the ambitious plan to get as many young people in the world as possible to read, and thereby, ensure that they can improve the future of their community in a dignified way. We want to work together with authors, publishers and schools to turn the tide. For supporting authors. We seek and support authors who write books for young people in small language areas. Together with them, we investigate how best to shape their project and who are the most important people who can help bring their project to a successful conclusion. For supporting publishers. We seek and support publishers in small language areas. Together we investigate how we can support projects for young people and limit publisher’s financial risk. For campaigns on social media. To give a message to young people you have to look them up in places where they are present. One of them is social media. That is why we try to motivate young people through campaigns on social media. We can all have wonderful ideas to get young people to read again, but without financial means it will only be dreams. Your financial contribution, no matter how small, will contribute to the realization of the numerous projects that we carry out. Your donation is therefore essential and we thank you in advance. In order to be successful, we must first find out where small language areas are. We must investigate whether we can develop projects there, establish contacts with authors and publishers. We need to work with schools and teachers, listen to them and see how we can support them. Any bright ideas, let us know. Work with us to achieve our goals. Get involved and becomes our contact for local projects. Tell others about our initiative. It’s another way to get involved. The more people who know about us, the more efficient we can work and the easier we will achieve our objectives. We, and the persons responsible for the projects we support, would be very grateful for your help. Please donate today and make our world a better place by letting young people read. 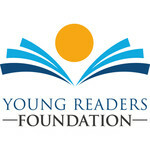 Want to know more about the Young Readers Foundation? Visit our website. MaryDes Designs Ltd hasn't posted any updates yet. MaryDes Designs Ltd is managing the funds for this campaign.